Eleven members met at Ullacombe Farm Shop cafe for coffee to prepare for the day's outing on Dartmoor. The day was set to include three main sites, one with a four mile hike, drives across The Moor to take in the fantastic scenery, and a lunch in it's centre at Princetown. The first site visited, (The Ugly), was the old rifle range near to Rippon Tor where there is an enormous brick retaining wall, earth bunds, target winches, and abandoned buildings. This was followed by a short drive to Buckland Church, (The Good), to see its famous clock and 14th.C wooden screen. The local villagers were preparing for a church fete the following day so the church was adorned with flowers and the group were regaled with the history of the church and famous clock and screen . A drive across The Moor via Postbridge took the party to Princetown and to lunch at the Fox Tor cafe, followed by a visit to The Visitor Centre where there was an excellent exhibition by the acclaimed Dartmoor Photographer, Josephine Collingwood. 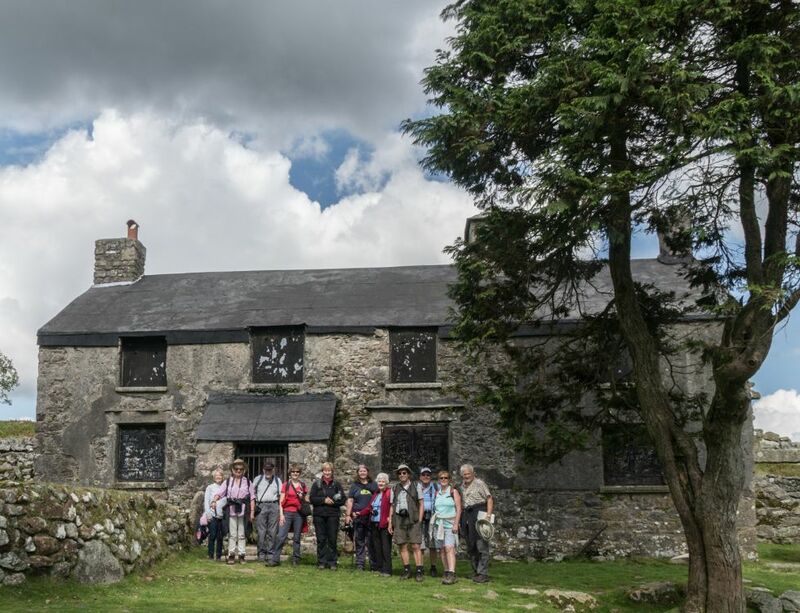 Duly inspired, after a short drive to Burrator and Sheepstor, the main event, the four mile hike across Drizzlecombe began, with members snapping away at the surrounding Tors and landscape. Eylesbarrow tin mines, and included crossing The Bog, some lady members of the group being disappointed that it was not as treacherous as the organiser as earlier portrayed. Finally, there was a photo shoot from above Sheepstor village across the valley to Burrator and beyond before returning home to Sidmouth.